Close up pretty girl training at gym. Young caucasian woman exercising at fitness center. 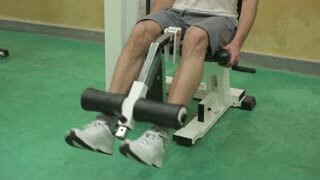 Legs training concept.